Views from the loch. : Arctic Charr & Arctic weather! Photo 01- dont know why he's so happy, both anglers on St Mary's Blanked yesterday! 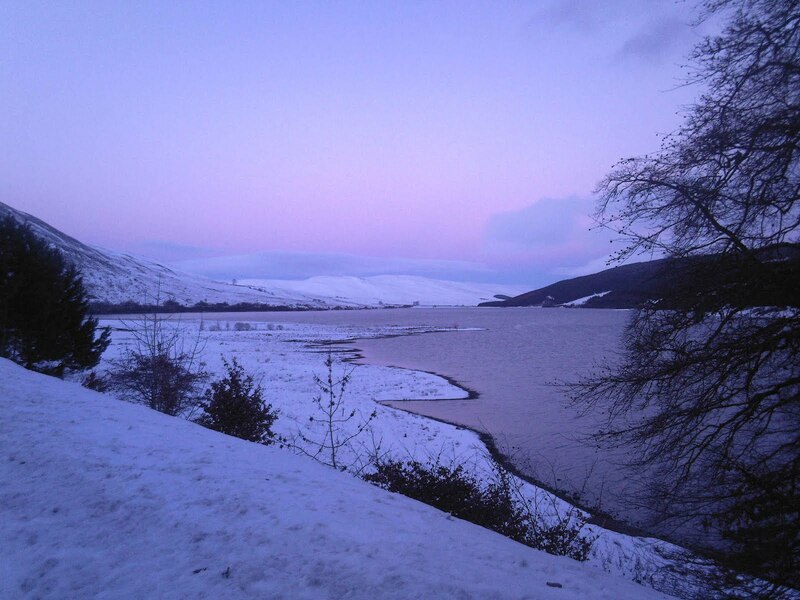 Our Arctic Charr project goes forward in fits and starts; we have withdrawn our initial application to Scottish National Heritage (SNH) and the River Tweed Commission (RTC) for the introduction of Arctic Charr into St Mary's Loch sourcing them from Talla reservoir. We have been advised to take this action by the scientists who guide our application. The reason we have taken this action is on the basis of reduced gene diversity that would arise in the subsequent population that would inhabit St Mary's Loch. SNH place much weight on refuge populations displaying maximum gene diversity to prevent future problems with reduced gene diversity similar to inbreeding in humans. This however does not halt our project but merely delays it by a number of months. We have been informed that there is some evidence to suggest the Talla population has restricted gene diversity and to further narrow this by sampling would be a negative step. The revised process would entail stripping ripe female Charr of their eggs in September/October 2011 and dividing the eggs into a number of batches and then fertilising the eggs with milt stripped from a large number of males hence ensuring that the resultant population is a clone of the overall Doon population maximising the available gene pool to the stocked population. We would rear on the fertilised eggs in our boathouse to a suitable size then introduce them into the loch early in 2012. It appears like a retrograde step but it is in fact a step forward ensuring that the introduced species has the highest possible chance of thriving as they have done in Talla and Megget. This process which will deliver the widest possible gene pool is more likely to be approved by SNH and our amended application will be sent to them soon and as well to the RTC for their approval. Naturally there is a cost to such activities as the scientists would be required for the initial gathering of eggs and milt and subsequent advice on rearing which will be a huge undertaking for us. Therefore we as a club must come up with a sum of money to compensate the scientists for their time and effort. They would willingly carry out the above free of charge to the club so passionate are they about the Arctic Charr, however it would be to our eternal shame to allow this to happen, we must pay our way as far as is possible. We will discuss the subject at our committee meeting in January. Photo 02 - The Lowes with areas of slush. A serious error of judgment! Please visit http://www.pacgb.co.uk/tips/landing.html for correct methods of handling Pike. The past week has been memorable with regard to the severe weather most of us in the area have been experiencing. Most of the minor ponds in the area freezing over like toppling dominoes as the week progressed. Our small loch the Loch o the Lowes has a covering of slush over the bottom half but is still fishable over its entire surface. The queen of borders lochs St Mary's however, defiantly remains completely open with no ice to be seem along her banks. The temperature of the loch (we sample it every week along with ph values) had dropped from eight degrees centigrade last week to five and a half degrees yesterday indicating the severe frost that has been our lot, but also that it will be a good while yet if the Baltic conditions continue before she succumbs (if indeed she does). Even last year with the prolonged cold she remained largely open to anglers almost freezing completely for one day only, and on that day our treasurer John managed a 16lbs 2oz fish. It's never say die till the last rods out of the water! 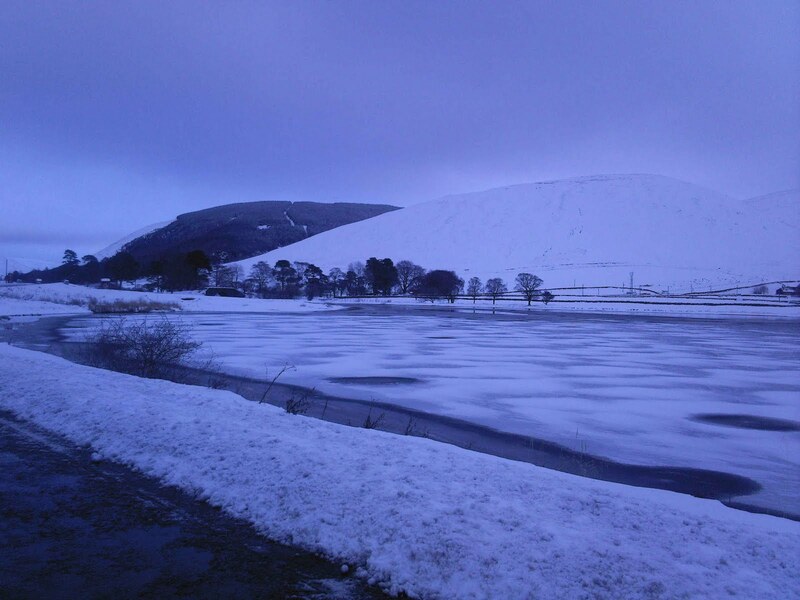 The roads to the lochs from Selkirk and Moffat are open and reasonably clear, but due to the very low temperatures care is needed when travelling on these roads. Parking spaces are problematic and unless you can access one of the few that have been cleared out you will have to clear your own space. Please do not park halfway on to the road. 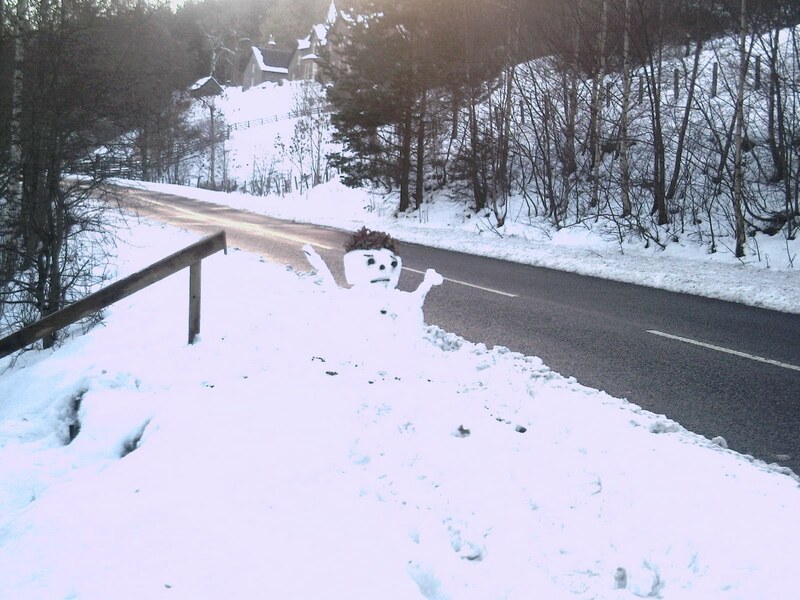 Check the local forecasts and give Peter a ring before setting out. How disappointing to see on the BBC news that the accursed Signal Crayfish have now been found in The River Kelvin! These non indigenous creatures are causing havoc in river systems/lochs where they have become established wiping out our indigenous white crayfish. It is now also becoming clear that to extirpate these alien invaders is a very difficult matter indeed. To compound matters further the rumour factory has it that the crayfish may have been introduced deliberately by some disgruntled angler! And we thought we had problems! Investigations are ongoing and we will keep tabs on the situation.